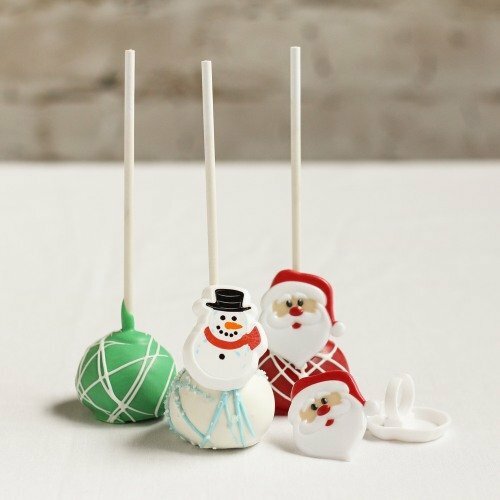 Dimensions: 8"H, 1.5 oz cake ball approx. 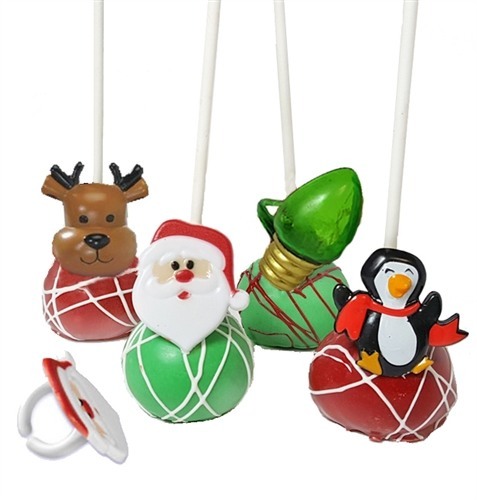 1.5"-1.75"
Give guests something to "mmm" about at your next holiday party thanks to holiday chocolate ring cake pops! 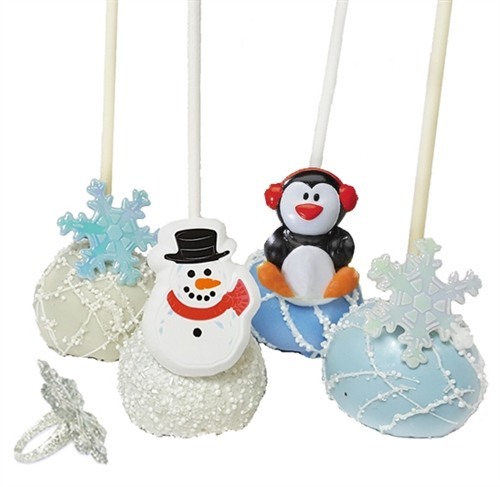 These fun holiday treats come in a winter theme and a christmas theme, with fun plastic party rings placed on top of cake pops-- equally delicious and adorable! Choose between cake flavors of classic vanilla or fudgy, double chocolate cake -- baked then mixed with just the right amount of cream cheese frosting; the perfect dessert for your holiday party!